Millions of people suffer from some form of chronic pain (whether it be physical, emotional, or existential), and this discomfort silently drains too many of us of our highest potential and our power. Living in a state of unending pain pushes people to the margins of their own lives and robs them of direct access to their most authentic, essential, worthy selves. Pain, ironically, renders too many beautiful voices mute; it cripples the body, leaving too many dancing souls lost. And nobody knows this better than Peter Bedard. One night, seventeen-year-old dancer, Peter Bedard, died in a traffic accident. The white-bearded messenger waiting at the gate of heaven sent him back to Earth with a task to help others heal. After a decade of debilitating physical and emotional suffering, Peter uncovered an empowered, new way of healing chronic pain without medicine—convergence healing. 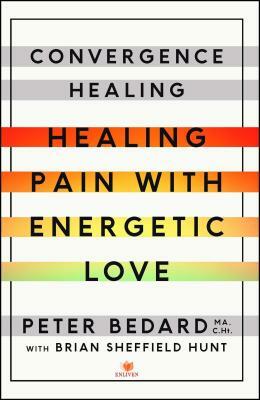 In his groundbreaking approach, Bedard invites us to look at our pain as the greatest source of wisdom we will ever have. Instead of medicating it, trying to break with it, or somehow outwit it, he invites us to surrender to our pain so that we may finally integrate our losses, our transitions, our heartaches, and our mortality and make peace with the everlasting truth of who, uniquely, we truly are. Through the author’s own near-death experience and other compelling stories and case studies, Convergence Healing offers a whole new body-mind paradigm for those interested in living a balanced, well-integrated life. Brian Sheffield Hunt is a screenwriter and author living in Los Angeles, California. He was healed by the Convergence Healing process himself, and he’s proud to be helping to bring the transformative power of Convergence Healing to millions of readers. “I did some Convergence Healing with Peter recently and I have to say, not only did I see myself in a totally different way, but he taught me to love the parts of myself that I don't like. He showed me how to stop getting caught in the drama that is my life and I learned to let go of the emotional pain that had been blocking me for years."